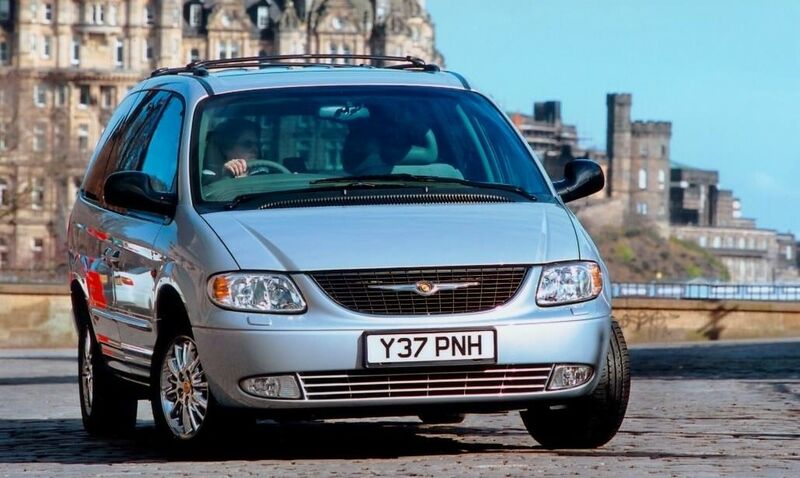 Whether or not it was really the first MPV, the Chrysler Voyager has long since been one of the biggest and most comfortable. There will forever be something of a grudge match between the Chrysler Voyager and the Renault Espace as to which was really the first MPV. The idea of a tall van-like car with lots of seats seems to have originated on both sides of the Atlantic at the same time, so we’ll probably never really know who did it first. Suffice to say that the big Chrysler has always been one of the most spacious and comfortable family haulers on the market. Not one of the most affordable though, which is why second hand Voyagers are a little thin on the ground here. Chrysler pitched it as a high-end family car just as families began to switch into smaller seven-seat MPVs and SUVs. Sales were consequently slow, not helped by a limited engine range that basically meant you could have a 2.8-litre diesel. There was, theoretically, a 3.3-litre V6 petrol option too, but we don’t think anyone was mad enough to buy one. The 2.8 is OK though. You’ll pay through the nose for tax with that capacity but it’s a solid and reliable unit, as long as it’s been properly serviced and cared for. The weak reliability points are in the suspension, gearbox and brakes so listen carefully for any knocking noises as you go over bumps, and check to make sure that the gears are all selecting cleanly. You also need to check the air conditioning system – it can fail and leave it almost impossible to clear the front screen on a damp day. The interior, aside from feeling as if it’s been made from cast-off pieces of Duplo, is actually pretty robust, and the models with the fold-away ‘Stow-and-Go’ seats are well worth tracking down. Without that, the rear seats have to be manually removed and lifted out - and they’re heavy. The sliding side doors at the back are hugely helpful though, and make the big Voyager much easier to get in and out of in tight car parks. It’s also worth pointing out that the Voyager got a severe ticking off from the crash test experts at EuroNCAP who gave it just a two-star rating and said that there was a high risk of serious or fatal injury in the event of an accident. Sobering food for thought. You’ll have to do some legwork to find a good one, but we did track down a nice 2007 2.8 diesel auto, with rear-seat DVD players, for €11k from a former Chrysler main dealer. It’s a lot of car for the cash, but beware of Voyagers on sale for less money – it’s unlikely they’ll have been properly cared for. Whether or not it was the first, the Voyager remains one of the roomier ways to transport your family around, or to set up shop as an airport shuttle service. As long as you can stomach the high running costs, it’s become a very affordable big, luxurious MPV to buy.